The first print workshop was held April 6 and taught by Reinaldo Gil Zambrano. After a night celebrating the artwork of 35 different local printmakers and five university student clubs with local music and beer, the mission that spurred this one-night event continues. Spokane Print Fest kicked-off a monthlong pursuit to educate Spokane about the often overlooked art medium of printmaking. This continued education will come in the form of workshops offered every Saturday morning from 10 am until noon at Terrain's space in the Washington Cracker Co. building, at 304 W. Pacific Ave. The kickoff art show was held April 5 in the Terrain building and was co-hosted by Terrain, the local nonprofit working to support regional artists through community programming and by Reinaldo Gil Zambrano, owner of RGZ Prints. 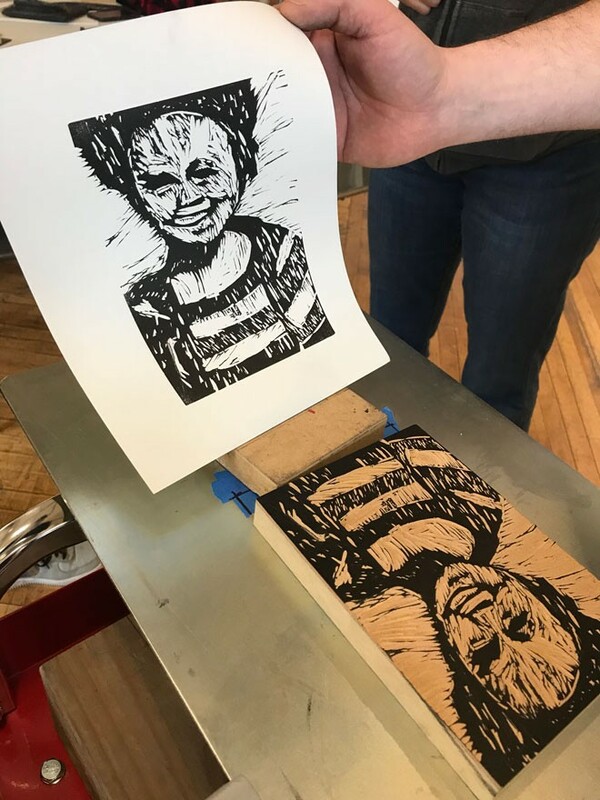 Zambrano taught the first workshop April 6 on relief printmaking, a printing method that consists of cutting or etching a printing surface so that all that remains of the printing surface is the design to be printed. For the Venezuelan artist, teaching a printmaking workshop isn't anything new as he also teaches at Eastern Washington University as an adjunct professor. Once you leave a university setting however, the art of printmaking becomes more inaccessible to most due to the cost of the equipment, Zambrano says. And that's where these workshops come in. One student's work from the inaugural print fest workshop. "Printmaking most of the time is overlooked as an art form in comparison to painting or sculpture," Zambrano says. "But the reason [for Spokane Print Fest] was to raise awareness and educate people about printmaking as an art form." There are three other printmaking workshops being offered. 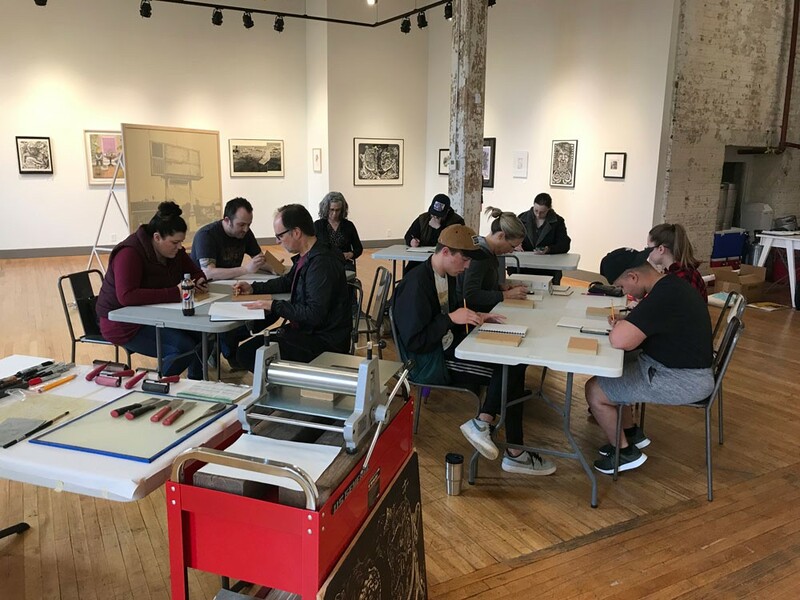 Margot Casstevens will teach a dry point workshop this Saturday, Mary Farrell will teach a monotype workshop on April 20 and Kevin Haas will teach a smart plate lithography workshop April 27. Now until the last workshop on the 27th, artwork from the Tangible Gestures show is on display in the Terrain Gallery. This free selection showcases the artwork of 35 local and national printmakers highlighting a variety of different styles of printmaking. Each of the workshops are $50 per person and have a maximum of 10 people. Register online.